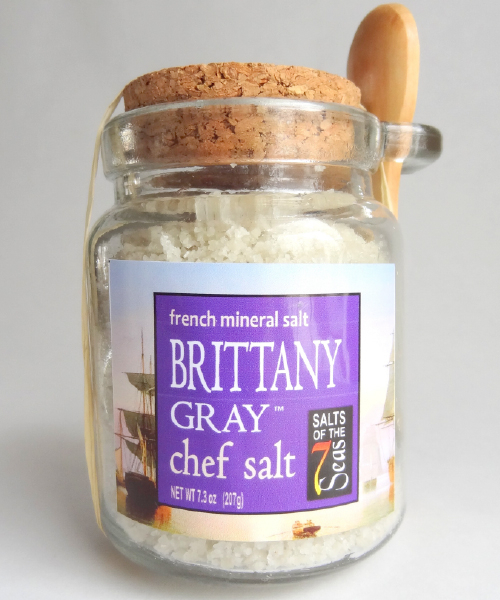 Whole Mineral Gray Sea Salt from the cold Brittany Coastal waters of northern France, this coarse gray sea salt is hand-harvested in the centuries-old Celtic tradition. Its soft gray color is from the clay that lines the salt ponds adding an extraordinary bonus of trace nutrients and minerals not found in most sea salts. Pure, unprocessed, hand gathered French sea salt from the renowned Guerande Salt Ponds, in Brittany, France. These millennial salt fields are registered as a National Treasure in France. Contains less sodium chloride--95% vs. 99.9% in ordinary processed salt. Contains trace minerals-- iodine, calcium, magnesium, potassium, copper, manganese, zinc and iron-- all vital to healthy cell function (please see analysis information). Considered the world's finest salt and was traditionally reserved for royalty. Ancestral methods are used: gathered by hand from the renowned Salt Ponds of Guérande, Our salt is never touched by metal; only wooden implements are used. 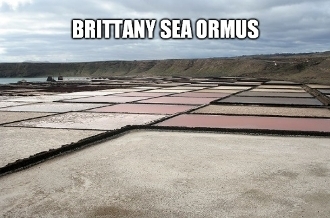 Locally collected Ormus minerals made with gourmet Brittany Sea Salt, Dead Sea Salt, and harmonically structured water.